CTSI | Milwaukee Regional Research Forum, Inc.
Home > Community > Clinical & Community Partners > Milwaukee Regional Research Forum, Inc. 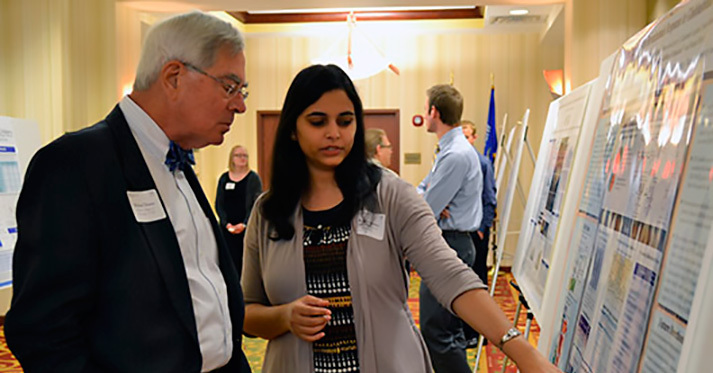 The Milwaukee Regional Research Forum, Inc. (MRRF) is a citizen inspired organization dedicated to advancing the goals of the Clinical & Translational Science Institute of Southeast Wisconsin (CTSI). It was created to inform our community about the CTSI and to communicate the collaborative research activities taking place involving CTSI’s eight partnering institutions: The Medical College of Wisconsin, Marquette University, University of Wisconsin – Milwaukee, Milwaukee School of Engineering, Children’s Hospital of Wisconsin, Froedtert Hospital, the BloodCenter of Wisconsin, and Milwaukee VA Medical Center. Title Sponsor for the Milwaukee Regional Research Forum is the Al Hurvis/ADAMM Education Foundation Inc. A 501(c)(3) tax-exempt, non-profit Wisconsin corporation created in 2015 when J. Thomas Hurvis and Charles C. Mulcahy joined forces with Jim Tolkan, president of the Automobile Dealers Association of Mega Milwaukee (ADAMM) to administer and provide scholarships for graduating high school seniors. Focusing on underrepresented minority students, the Foundation administers eight scholarships based on academic achievement, leadership, community service, and financial need. 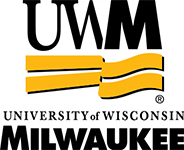 The Milwaukee Regional Research Forum, Inc. was created through the combined vision of two individuals, Dr. Reza Shaker and Charles C. Mulcahy. Mr. Mulcahy, a retired attorney, is a former member of the Milwaukee County Board of Supervisors and MCW Trustee. Currently he is a member of the MCW Technology Innovation Council and a co-founder of the Milwaukee Regional Medical Center medical history wall project located in the Crowne Plaza Milwaukee West Hotel. Mr. Mulcahy continues to be a fervent supporter of the Milwaukee Regional Medical Center institutions and their important contribution to improving patient care, supporting scientific research, and regional economic development. Support and encourage ongoing research collaboration and technology transfer between the CTSI and its partner institutions, and to provide additional resources for the development of intellectual property protection and the commercialization of research. Provide outreach opportunity for the CTSI with community and business leaders. Collaboratively interact with the business community to develop timely, valuable research outcomes in improving patient care. Promote the Milwaukee Regional Medical Center (MRMC) as the premiere healthcare services entity in this region. Annually present the T. Michael Bolger Award to recognize exceptional regional, national, or international accomplishments resulting in improved patient care and/or treatment and cure of diseases. Annually present the John L. Doyne Award to recognize individuals or organizations making significant contributions to further expand the visibility and success of collaborative medical research. 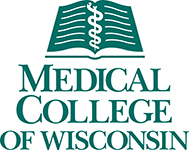 T. Michael Bolger served with distinction and significant accomplishment as the President of the Medical College of Wisconsin (MCW) from 1990 to 2010. During his time as President, MCW experienced extraordinary growth in faculty, operating revenues and budget, new facilities, new Doctoral and Masters programs, and joint programs with CTSI entities. T. Michael Bolger supported and encouraged faculty to expand funded research opportunities, including the successful creation of the Clinical and Translational Science Institute (CTSI), funded through the National Institutes of Health (NIH). 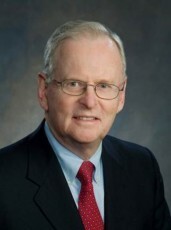 In honoring and preserving Mr. Bolger’s historic accomplishments, the T. Michael Bolger Award recognizes regional, national, or international individuals or organizations whose accomplishments resulted in improved patient care and/or treatment and cure of diseases. In 2008 Michael J. Dunn, MD completed his extraordinary, 13-year tenure as Dean and Executive Vice President of the Medical College. He continues his service to the College as Dean Emeritus and Distinguished Professor of Medicine and Physiology. Since Dr. Dunn was named Dean in January 1995, the Medical College has become a major national research center with new initiatives in genetics, imaging, and biotechnology. Under his leadership, new facilities, including the College’s Health Research Center and Translational and Biomedical Research Center, were constructed to support expanded research and medical education programs. During most of his tenure, Dr. Dunn was one of the nation’s only medical school deans to hold NIH research grants and actively conduct research. He held continuous funding from the NIH from 1970-2005. A Past President of the American Society of Nephrology, he is nationally recognized for his research in nephrology and hypertension. He has published more than 200 scientific papers and authored or co-authored 50 chapters and textbooks in his field. Hopkins Hospital. He then took a nephrology fellowship at the University of North Carolina and spent three years of military duty as a research internist at the Walter Reed Army Institute of Research. He came to the Medical College from Case Western Reserve University School of Medicine, where he was the Hanna Payne Professor of Medicine. He previously served on the faculty of the University of Vermont College of Medicine. GE Healthcare is a $19 billion business unit of General Electric (NYSE: GE) that employs more than 53,000 people worldwide and invests more than one billion dollars annually in R&D. Active in more than 100 countries worldwide, GE Healthcare provides transformational medical technologies and services to meet the demand for increased access, enhanced quality and more affordable healthcare around the world. From medical imaging, software & IT, patient monitoring and diagnostics to drug discovery, biopharmaceutical manufacturing technologies and performance improvement solutions, GE Healthcare helps medical professionals deliver great healthcare to their patients. GE Healthcare’s continuing commitment to and impact on Wisconsin: with 6,500 employees across the Badger State, and an economic impact on Wisconsin of $3.8 billion annually according to a recent third party analysis, GE Healthcare alone generates $10.4 million in economic activity in-state, on average, every day, and helps support more than 21,400 jobs at both GE businesses and at 1,100 supplier sites across Wisconsin. Since 1975, Dr. James S. Hyde has served with distinction on the faculty of the Medical College of Wisconsin. He is the James S. Hyde Professor of Biophysics and Director of the National Biomedical Electron Paramagnetic Resonance (EPR) Center. which existing EPR instrumentation can be used for new categories of biomedical problems. Since establishing the National Biomedical Electron Paramagnetic Resonance Center at the Medical College of Wisconsin, Dr. Hyde’s research excellence has resulted in continuous grant funding by the National Institutes of Health and the National Institute of Biomedical Imaging and Bioengineering. Dr. Hyde has also pursed research interests in the area of functional magnetic resonance imaging (fMRI). His research has resulted in studies that seek to develop new ways to deal with the problem of motion in fMRI scans which can be severe in individuals who are ill or elderly. Dr. Hyde led the Medical College’s interdisciplinary team that was among the first in the world to develop fMRI of the working brain and his accomplishments in fMRI and EPR research have continued to influence the fields of radiology, neurology, ophthalmology and gastroenterology. 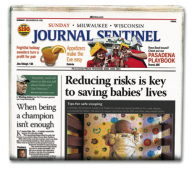 The Milwaukee Journal Sentinel, with its predecessor entities, has provided comprehensive newspaper coverage to Milwaukee and Wisconsin markets since 1882. The Milwaukee Journal and Milwaukee Sentinel were engaged and covered the creation and development of the Milwaukee Regional Medical Center starting in the 1970s. Over the intervening 40 years, the Milwaukee Journal Sentinel provided news coverage concerning the formation of the MRMC, the planning and development of the Medical College of Wisconsin, Froedtert Hospital, Blood Center of Wisconsin, Curative and Children’s Hospital. MJS coverage has made the public aware of patient care and treatment as well as medical research and the commercialization of that research for improved patient care as well as licensing and new business formation. The coverage of public officials and private institutions throughout this development process was positive when warranted and critical when deserved. MJS has also been courageous and diligent in raising public awareness of the shortcomings in treatment of the mentally ill and the care provided in nursing homes as well as with care providers. This coverage resulted in improvement in the care provided in private facilities and caused local and state government to more carefully fulfill their protective responsibilities. MJS journalists during the past several years have received consistent and notable public recognition including the Pulitzer Prize, Bartlett & Stelle Award, Gerald Loeb Award, American Society of Newspapers Award, Eugene Pulliam Award, American Bar Association’s Silver Gavel Award, Polk Award, Grantham Award, and awards from the National Academy of Sciences, Institute of Medicine and National Academy of Engineering. MJS has also provided unique, valuable and respected insight on the importance of medical research, patient care and economic development. Father Wild served with distinction from 1996 to 2011 as President of Marquette University. Father Wild is recognized with this award for his leadership in guiding the University through dramatic changes in its growth and commitment to academic achievement, scholarly research, campus expansion and community involvement. a licentiate in theology from the Jesuit School of Theology in Chicago. He served as a faculty member at Marquette from 1975 to 1984. Father Wild raised the national profile of Marquette in multiple areas but his legacy also includes improving Marquette’s health related programs in the School of Dentistry, College of Health Sciences and College of Nursing. These programs have achieved national recognition in research and education while developing a powerful workforce dedicated to improving the health of the people of Milwaukee, Wisconsin and the entire nation. 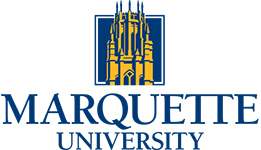 During his time as President, Marquette became a valuable and trusted member of the Clinical and Translational Science Institute and continued to expand its collaborations with CTSI entities. Since 1996, Dr. Howard J. Jacob has served with distinction on the faculty of the Medical College of Wisconsin. Dr. Jacob is Professor of Physiology and Pediatrics; and Director of the Human and Molecular Genetics Center of MCW. He is the Warren P. Knowles Chair of Genetics at MCW. Dr. Jacob received the PhD in Pharmacology at the University of Iowa and undertook postdoctoral training at Harvard and MIT. He was mentored, and later guided, by internationally recognized experts in pharmacology, cardiovascular physiology and genetics. Dr. Jacob is recognized with this award for his extensive work in improving the health of patients and, for more than a decade, leading the development of the Human and Molecular Genetics Center into an internationally recognized research program geared to developing strategies to improve health. Taking advantage of comparative genomics between human, rat and mouse, Dr. Jacob has significantly advanced the understanding of the genetic determinants of renal disease and heart disease in humans. Dr. Jacob has also experienced success in utilizing his research in developing technology transfer applications in various business settings intended to achieve positive health improvement results and resulting economic development. Last but not least, Dr. Jacob was instrumental in the development of the grant proposal that ultimately resulted in the federally funded CTSI of Southeast Wisconsin. 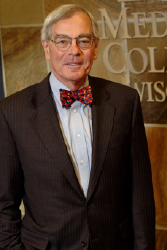 T. Michael Bolger served with distinction and significant accomplishment as the president of the Medical College of Wisconsin from 1990 to 2010. During that period of time, the MCW experienced an extraordinary period of growth including increase for faculty from 400 to 1,100; operating budget increased by 600% to over $850 million; $200 million of new facilities including the college’s Translational and Biomedical Research Center, Health Research Center and Cardiovascular Center/Anesthesiology research labs; three new doctoral programs; four new masters programs; joint programs with Marquette University and the Milwaukee School of Engineering; and expanded affiliation with Froedtert Hospital, Children’s Hospital of Wisconsin, BloodCenter of Wisconsin and Zablocki VA Medical Center. Bolger achieved these changes and advancements in academic medicine with careful selection of talented people and a management style which created and maintained a positive and achievement oriented atmosphere. Bolger encouraged and supported MCW faculty to expand funded research of $20 million in 1990 to over $145 million in 2010. The research initiative also included the successful creation and funding of the Clinical and Translational Science Institute which received a $20 million grant from the National Institutes of Health in 2010. 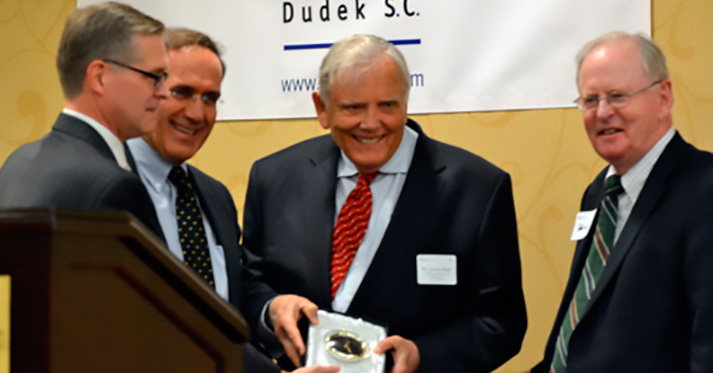 The John L. Doyne Collaboration Award was created to honor and preserve the legacy of former Milwaukee County Executive John L. Doyne as the “Father” of the Milwaukee Regional Medical Center. 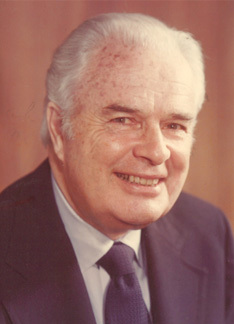 John L. Doyne served as County Executive from 1960 to 1976. He was the public sector leader who brought private and public parties together in carrying out his lifelong vision of creating a regional medical center on County grounds located in Wauwatosa, Wisconsin. As a result of his vision, abilities, personality and determination, the Milwaukee Regional Medical Center (MRMC) developed as a hub for advanced medical research as well as a provider of superior patient treatment and care. MRMC organizations continue to advance both the physical and economic health of this region by providing a diverse group of medical professionals and facilities serving over 1 million clients/patients, employing more than 20,000 people with family-supporting jobs, and creating an economic impact in the region far in excess of $3 billion per year. 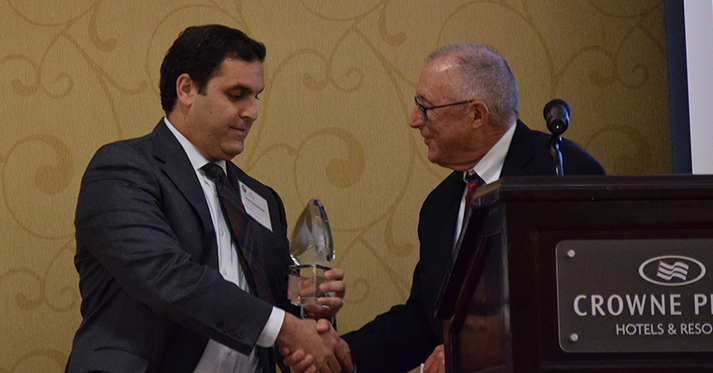 John L. Doyne’s grandson, Ryan Heinemann is actively involved on the Award Selection Committee and is seen here presenting the 2016 award. The nonpartisan Public Policy Forum, established in 1913 as a good government watchdog, currently focuses its policy research on a broad range of issues affecting southeastern Wisconsin, the state and the nation. This research includes government finance and economic development policy, education, transportation, public safety, health, public infrastructure and other quality of life concerns. The Forum serves the public, businesses, government and other interested constituencies by spotlighting trends, defining emerging issues and facilitating productive interaction among local governments and the private sector to promote sound and innovative policy solutions. Fiercely independent and widely respected for its unbiased research, the Forum is a source of accurate information for local, state and national leaders seeking effective answers to public policy issues. In addition to publishing annual research reports, Research Briefs, and Regional Reports, the Forum hosts discussions and programs on issues of local and regional interest. Purchased by Milwaukee County in 1852 and exclusively occupied for a century by County institutions, the Milwaukee County Grounds in Wauwatosa now house one of the state’s foremost clusters of private health care institutions and businesses. Meanwhile, the County’s Mental Health Complex will soon shrink to fewer than 80 beds and its overall presence on the Grounds is vastly diminished. Should Milwaukee County continue to own and occupy space on the County Grounds, or is it time for a new ownership structure? Who should provide water and stormwater services, and who should pay for fire and police? What are the prospects for a cooperative discussion between Wauwatosa, the County, and private sector leaders to resolve these issues? Join the Public Policy Forum at a Viewpoint Luncheon that will explore Milwaukee County’s future at the County Grounds. Are There Legislative and Regulatory Remedies? Join the Public Policy Forum at a Viewpoint Luncheon that will explore the effects of Wisconsin’s alcohol culture and what we should do to address them. $6.8 billion and results in more than 1,500 deaths, 48,000 hospitalizations, and 5,700 motor vehicle crashes annually. Are tougher drunk driving laws or increased alcohol taxes the answer? What about sobriety checkpoints or penalties on taverns who serve excessive drinkers? If tougher laws and law enforcement tactics are the solution, then what is the cost and how will we afford the bill? Do We Have What It Takes to Compete? Greater Milwaukee’s economic development leaders are working on several initiatives to enhance the region’s competitiveness, including high-profile efforts to promote water and energy clusters, enhance academic research and nurture entrepreneurs. Some are asking, however, whether we possess the high-performance computing infrastructure needed to achieve those and other economic development goals. How does our region measure up when it comes to IT infrastructure and why does it matter? Who are the key players and who would supply the resources to expand our capacity? Overall, what will it take to build the IT infrastructure needed to compete for research dollars and knowledge workers in a 21st century global economy? 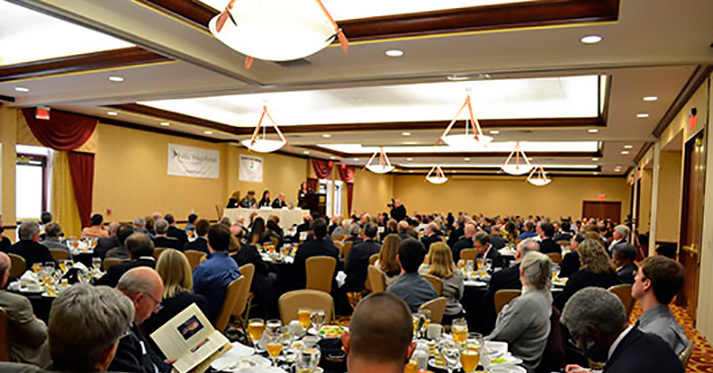 This Public Policy Forum Viewpoint Luncheon will explore Milwaukee’s information technology prowess and its importance to our regional economy. Tina M. Chang, Chief Executive Officer, SysLogic, Inc. Greater Milwaukee is home to several colleges and universities, including four that collectively spend more than $200 million annually on research and development. How are those institutions transferring new discoveries to the commercial sector for public benefit? Would enhanced collaboration among the four produce greater dividends for our regional economy? What is the appropriate role of our colleges and universities in fostering economic growth and tackling the difficult issues facing our region? This Public Policy Forum Viewpoint Luncheon discussed how our colleges and universities view their role in addressing Greater Milwaukee’s economic and social challenges. A new $20 million federal research grant awarded to Milwaukee-area research institutions to establish the Clinical and Translational Science Institute has generated new hope regarding our region’s research prowess. Now, many are asking whether the momentum can be sustained. What will it take to attract more federal research dollars to metro Milwaukee? What is the role of state and local government in promoting university research and encouraging economic spin-off? Can we build the high-tech infrastructure needed to successfully compete for research dollars and effectively reap the benefits of academic research? The poster sessions showcase research projects supported by CTSI as well as how these projects demonstrate collaborative efforts across disciplines and institutions. Objective: To investigate the potential of imaging with DU to quantify capillary endothelial cells (ECs) death in rat lung injury resulting from 100% O2 exposure. Objective: Introduce a smartphone-based peer mentoring system with complete representation of complex calculative dashboard view and emergency alert system for mentors to quickly identify risky veteran behavior. Also establish the basic framework for remotely monitoring veterans and evaluate the functionalities with real people. Objective: To develop an innovative evidence-based vestibular disorders program that provides maximal patient and healthcare system quality and value through efficient and expeditious clinical care. Objective: Tax2-derived peptides have the ability to modulate innate antiviral immunity against HIV-1. The next step in our research is to synthesize purified Tax2-derived oligopeptides which will be tested for their functionality and stability in soluble vehicles. The induction of mucosal immunity against HIV-1 infection could be an alternative strategy to reduce sexual transmission of HIV-1. Objective: To examine the effects of various doses of 470 nm blue light on human cell viability in vitro. Previous studies we demonstrated the bactericidal effect of blue light on methicillin resistant Staphylococcus aureus (MRSA) in vitro, however the effect of blue light on cutaneous and subcutaneous cells at the site of infection remains unclear. Understanding the effects of blue light on fibroblasts and white blood cells could help clear the way for clinical utilization of blue light for patient care. Objective: This study investigated the role of a novel EET analog, EET-A in mitigating experimental radiation nephropathy. Radiation nephropathy occurs during clinical treatments, such as total-body irradiation (TBI) for bone marrow transplants, during radiotherapy and also during accidental or combative exposure to radiation. Objective: To evaluate the efficacy of inhibiting activin type 2b receptor signaling as a treatment for nemaline myopathy (NM). NM is a congenital myopathy that can cause a range of clinical symptoms, including perinatal death due to respiratory insufficiency in severe cases. Objective: Neuroblastoma is a pediatric cancer of neural crest origin that accounts for 12% of all pediatric cancer deaths. Based on the anti-tumor efficacy of our previously tested whole-cell immune-based therapy, we designed and tested a more clinically translatable protocol for the treatment of established neuroblastoma. Objective: The potential applications of combined optogenetic/fMRI technology are very broad. The initial focus of this project is to develop and explore its use in clinically motivated applications, ultimately laying the ground work for a new clinical modality that combines diagnosis and targeting of brain pathology with delivery of therapeutic brain stimulation. Objective: To develop novel DNA cross-linking agents. DNA interstrand cross-links (ICL) form when alkylating agents react with two different strands in the DNA. This effectively causes the inhibition of DNA replication and gene expression thus leading to cell death. The reagents that can induce DNA damages under hypoxic conditions are particularly important as tumor cells are very often hypoxic (oxygen-starved). Tumor hypoxia is a major factor contributing to the failure of radiotherapy. Objective: The purpose of the Institute for Urban Agriculture and Nutrition (IUAN) is to facilitate collaborations among academic, governmental and community agencies to pursue solutions to the obstacles to healthy food access and consumption in Milwaukee. The IUAN is pursuing funding from public and private sources to support projects aimed at increasing urban food production, processing and consumption. Objective: To examine spinal motor excitability for the flexor digitorum superficialis (FDS) muscle during grip relaxation in the right and left hands in right-handed healthy individuals. Objective: Noninvasive neuroimaging modalities such as functional magnetic resonance imaging (fMRI), electroencephalography (EEG), and magnetoencephalography (MEG) provide either the high spatial or temporal resolution needed to fully characterize neural dynamics and their disruption by disease, but not both. This research aims to characterize the normative relationship between mass neural activity (measured with EEG and MEG) and the hemodynamic BOLD response (measured with fMRI) in a network of brain regions engaged in auditory and speech perception. Objective: To find a combination of immune therapies that facilitate the identification of tumor cells as well as a robust activation of killer immune cells that result in unbounded tumor regression. Objective: To design interventions to improve communication skills and specifically addressing challenges parents face in working with substitute care providers that could improve care. Investigators: Mussatto K, Henriques J, Krolikowski M, Brosig Soto C, Melby J, Harrison T, Pridham K.
Objective: A comparison of VWF collagen binding (VWF:CB) and VWF multimer distribution was performed to evaluate the utility of VWF:CB as a diagnostic test. Objective: To determine which AP isoforms are prevalent in healthy and NEC neonates. Objective: To determine if vibro-tactile stimulation using stochastic resonance can enhance stroke survivors’ tactile sensation at the fingertips. Objective: To determine the role of the modulation of the intracortical inhibition (quantified as short-interval intracortical inhibition, SICI, using transcranial magnetic stimulation) in abnormally delayed grip relaxation after stroke. Objective: To quantify the degree, type, and location of neural modulation during TMS to provide foundational information necessary to target, or avoid targeting, specific anatomical regions in the brain. Objective: To optimize the current glove design using a biomechanical model that results in natural hand opening for stroke survivors. Objective: To determine whether a) single nucleotide polymorphisms (SNPs) in the TLR genes modulate susceptibility to sepsis in VLBW infants, and b) TLR SNPs modulate WBC counts obtained during culture-positive (C+ve) sepsis. Objective: To present a Common Sense Model (CSM) that sets the patient’s “model” of diabetes in a mobile computing framework where behaviors are easily and logically linked to disease outcomes through continuous monitoring of SMBG, heart rate, medications, diet, and exercise. Objective: To understand the role of IL-27 in natural killer (NK) cell-based effector functions. Objective: To identify protein signatures that are unique to each GBM patient; determine if they predict a differential response to Bevacizumab therapy and provide unique information for the development of new drug targets either in combination or as an alternative to Bevacizumab therapy. Objective: To determine the role of stromal cell-derived factor 1 (SDF-1) and its cognate receptor chemokine receptor 4 (CXCR4) in the migration and rejuvenating effect of BMSC transplanted in an in vitro model of TBI. Objective: To determine if radiation-induced intestinal radiation injury would be mitigated by oral IAP supplementation in an adult rat model. Objective: To identify therapeutic agents that would be effective in treatment of the negative and cognitive symptoms of schizophrenia. Objective: To determine if EET analogs would decrease cisplatin-nephrotoxicity. Objective: To investigate the potential role of Nogo protein in CNS pathophysiology in the presence of hyperoxia. We hypothesize that Nogo proteins have a protective effect on neuronal and axonal development. Objective: To investigate whether an optical imaging technique to evaluate mitochondrial metabolic coenzymes, NADH and FAD will delineate oxidative stress from hyperoxia and LPS in neonatal rat lungs. Objective: To determine whether induced pluripotent stem cells (iPSCs) derived from BMD and DMD patients could be differentiated into cardiomyocytes and retain a specific disease phenotype. Objective:To identify a proteomic-based peripheral blood biomarker panels in a serial and prospective monitoring strategy in HFpEF patients. Objective: To characterize the functional sources of upper limb tremor and dysmetria that occur in patients with Multiple Sclerosis (MS) using a systems identification approach together with a closed-loop model of sensorimotor control. Objective: To evaluate a device that measures the oxidation of tissue metabolism using optical fluorescence techniques. Objective: To evaluate home oxygen use for pre-term infants with chronic lung disease. Objective: To determine if TCT can detect extracapsular extension of PCa. Objective: To examine blue light irradiated MRSA colonies at the molecular level by observing the effect of blue light on femA and mecA genes implicated in antibiotic resistance; analyzing the protein profile of whole cell lysates and genomic fingerprinting using Pulsed field gel electrophoresis (PFGE) and Diversilab repPCR. Dopaminergic-like neurons from epigenetically reprogrammed mesenchymal stem cells. Objective: To elucidate whether NI-hMSCs can be differentiated into the dopaminergic (DA) neuronal subtype. Objective: To investigate the molecular mechanisms of the synergistic in-vivo toxicity of radiotherapy and celecoxib, a non-steroidal anti-inflammatory drug, as applied in the treatment of patients with squamous cell carcinoma of the head and neck, a very high-mortality cancer. Objective: Investigating Near Infra Red Spectroscopy (NIRS) for assessing tissue oxygenation in patients with acute respiratory distress syndrome following a life-threatening injury. Objective: Novel chemical probes and synthetic peptides are applied to investigate the role of reactive oxygen species produced in rat lungs as a result of infection and high oxygen concentration. What Happens When a Nurse Pain Protocol is Discontinued in the Emergency Department?